On your first deposit at Betway, we'll give you a 50% up to K1,000 awarded as a Free Bet. This bonus only requires 3x Sports bets, Virtuals or Jackpots playthrough at odds of 3.0 or higher. Bets placed on casino and betgames do not contribute to fulfilling opening offer requirements. Your Sign Up offer will be credited once your qualifying betslip/s has resulted or has had a minimum of one resulted game. These terms and conditions govern your participation in "The Betway Welcome Bonus" offered by Betway. If you do not agree with these terms and conditions, you are not permitted to participate in this promotion. The Betway Welcome Bonus awards customers with a 50% up to K1,000 awarded as a Free Bet. The customer is newly registered to the Betway platform. The Free Bet will only be paid once the customer has fulfilled the playthrough requirements. Customers have 30 days to meet the playthrough requirements to unlock the Welcome Bonus. The awarding of Free Bets is done entirely at the discretion of Betway. Free Bets don't have any hidden requirements. Customers who place bets using their Free Bets will receive any and all winnings (minus the initial stake) and that amount will reflect in their cash balance – ready for another bet or to be withdrawn. These terms and conditions govern your participation in any "Free Bet" promotions offered by Betway. If you do not agree with these terms and conditions, you are not permitted to participate in such promotions and you should not accept any Free Bet offered by us. Betway Account: This is the account that you registered with Betway. This account will consist of both your Cash balance and your Free Bet balance. Free Bet: Betway runs various promotions which may offer "Free Bets." Any Free Bet that you qualify for will be added to your Free Bet balance, and can be used to place wagers. Cash: This balance is the cash in your Betway Account, and can be used to place wagers. A Free Bet can only be used to place wagers, and cannot be transferred, substituted or exchanged. Any available Free Bet balance cannot be withdrawn. Betway's general Terms and Conditions shall apply to all interactions with Betway, and must be read in conjunction with all other terms and conditions relating to promotions. In the event of a conflict between these Free Bet Terms and Conditions and Betway's general Terms and Conditions, Betway's general Terms and Conditions shall prevail. A Free Bet is available for a maximum of 7 days from the date that the Free Bet was credited to your Betway Account. If not used, your Free Bet will automatically expire after 7 days and will be removed from your Betway Account (unless specified otherwise in specific promotional terms). Any Free Bet balance must be used in its entirety as a single bet. This single bet can include single selections or multiple selections in one bet. Should the Free Bet be placed on a selection that is later voided, the original Bonus Bet wagered amount will be returned to the your Betway Account. The Free Bet is non-refundable and the Free Bet wagered amount is not included in any winnings. Only the winnings will be paid to your Betway Account. The maximum return on any Free Bet is K5,000. If you make a withdrawal, any Free Bet balance you have available will be forfeited. Before any withdrawals are processed, your play will be reviewed for any irregular playing patterns. Using a combination of bets which include both a Free Bet and Cash on the same event to place equal, zero or low margin or hedge bets, shall all be considered irregular gaming for Free bet requirement purposes. 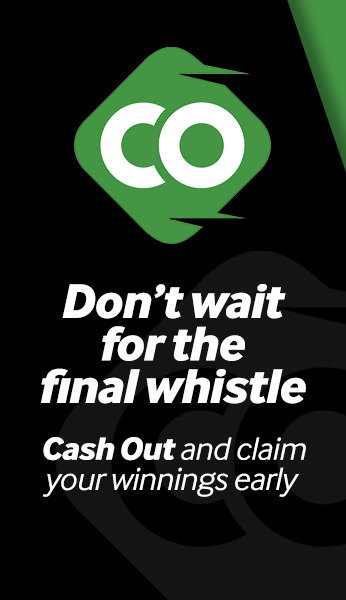 In the interests of fair gaming, should Betway deem that irregular game play has occurred, we reserve the right to withhold any withdrawals and/or confiscate all winnings. Your total account balance consists of a Cash balance and a Free Bet balance. Withdrawals cannot be made from the Free Bet balance, but the Free Bet balance can be used to place wagers. Players who registered prior to 01 August 2018 will be bound to the preceding Welcome Offer terms and conditions. Should you require any clarification or advice regarding these Terms, please contact Customer Support. Bet on any soccer action from 4 March to 28 April, and you could win a trip for two to watch Africa’s best live in Egypt. Also up for grabs are amazing tech, cash and Free Bet prizes each week. To qualify for entry into the weekly and grand prize draws, players must place any bets on soccer from 4 March 2019 to 28 April 2019. Only cash bets will apply. Weekly prize winners will be announced every Monday. The grand prize draw will take place on 29 April 2019. A valid Betway account is required to participate in the promotion. The promotion is only open to persons who are natural persons, 18 years or older, and either Zambian citizens or permanently reside in Zambia. Betway may require the winners to complete and submit an information disclosure agreement to enable Betway to ensure compliance with these Terms and Conditions. Should the winner be found not to have complied with these Terms and Conditions, he/she will automatically be disqualified and the prize will be forfeited. Winners may also be required to sign acceptance of prizes and indemnity documents. In order to claim a prize, winners must also submit FICA verification documents. The prize is not transferable, and no substitution or cash redemption of prizes is permitted except where the winner is unable to obtain a visa for travel after exhausting all other options. The prize will not be handed/awarded to a third party, but only to the verified prize winner. The organisers of the competition reserve the right to cancel or postpone the competition at any time. The Promoters will continuously monitor any irregular behavior, whether it be in entries and/or Participant’s details. Consequently, any violation or attempt and/or suspicion of violation or irregular behavior and/or non-compliance with these Terms and Conditions will result in immediate disqualification of the Participant. All Participants participate entirely at their own risk. By reading these Terms and Conditions and participating in the promotion, the Participant gives consent to these risks and hereby indemnifies and holds harmless the Promoters, their directors, employees and agents of any and all liability pertaining to any damage, cost, injuries, and losses of whatever nature sustained as a result of their participation in the Promotion and related events and activities, save where such damage, cost, injuries or losses are sustained as a result of gross negligence or willful misconduct of any of the Promoters. The Promoters, their directors, employees, agents and distributors, are not responsible for any misrepresentation (whether written or verbal) in respect of any Reward nor in respect of any warranties or undertakings given by any person other than the Promoters themselves. Should you require any clarification or advice regarding these Terms, please contact Customer Support. Please also visit www.betway.co.zm for a full list of terms and conditions. Take part in Betway’s new, exciting and free weekly prediction game. Simply predict the first teams to score in four soccer divisions and you could win K50,000. If no winner is eligible during a week, the prize will roll over, adding K10,000 every week up to a maximum of K100,000. Play our free prediction game for the chance to win our jackpot. Pick the first team to score in each of the selected leagues. A valid Betway account is required to participate in the promotion. Entrants must be legal Zambian citizens and be over the age of 18. The competition is limited to one entry per registered account holder at Betway, per round. If multiple accounts have been opened by the same person, all entries by this player and/or accounts will be discounted. Self-excluded customers are prohibited from entering the competition. The total prize pot for each round of matches is K50,000 unless stated otherwise. This prize is shared amongst winners in Uganda, Ghana, Nigeria, Kenya, South Africa and Zambia. If a Round has no winner, the jackpot will roll over to the following one with an additional K10,000 added to the total. For example, if there is not a winner in Round 1, the prize pot for Round 2 will be K60,000. This will occur until a K100,000 maximum prize is reached. Customers’ selections must be confirmed and submitted before kick-off of the first eligible match of each Round in order to qualify for the promotion. Once an entry is submitted, a customer cannot amend or cancel their prediction. If the first goal in the match is deemed as an own goal, then the second goal of the match will count. If a match gets postponed, the selections stand as long as the match is played within 48 hours. If the match is cancelled or not played within 48 hours, selections are replaced with the next team based on alphabetical order. Betway may require the winners to complete and submit an information disclosure agreement to enable Betway to ensure compliance with these Terms and Conditions. Should the winner be found not to have complied with these Terms and Conditions, he/she will automatically be disqualified and the prize will be forfeited. Winners may also be required to sign acceptance of prizes and indemnity documents. The prize is not transferable, and no substitution or cash redemption of prizes is permitted. The prize will not be handed/awarded to a third party, but only to the verified prize winner. The Promoters, their directors, employees, agents and distributors, are not responsible for any misrepresentation (whether written or verbal) in respect of any Reward nor in respect of any warranties or undertakings given by any person other than the Promoters themselves.